Italy is in a position, looking from a geographical and geostrategic point of view, to play one of the most significant political roles in the basin of the Mediterranean Sea. Italy with Sicily is dividing the Mediterranean Sea into two parts: the eastern and the western. According to Sergio Romano, this geostrategic fact is giving to Italy a possibility to play the role of “the most important factor of naval balance of powers in the region”. For the Italian geopolitical significance, it is important fact, as well as, that the southern NATO’s headquarters is located in Italy what is telling us about an extreme significance of Italy (the Appeninian Peninsula) for NATO’s strategy in the Mediterranean Sea. The basin of the Mediterranean Sea is divided into four territorial sections according to the Italian defense strategy from the 1990s: 1) North Africa; 2) The Middle East; 3) The Balkans; and 4) NATO’s member states. The Italian military forces were participating in all multinational operations in the Mediterranean Sea after 1981. For the further development of Italy’s defense strategy, a historical fact that the Italian territory was bombed in 1986 by the Libyan air-forces after US’ bombing of Tripoli is of important significance. In other words, two Libyan SCUD missiles hit the Italian island of Lampedusa, where the US military base was situated. It was the first case after the WWII that the Italian territory was directly attacked by the military but it was a small price for the Italian serving to the American imperialistic geopolitical aims in the Mediterranean Sea. During the 1980s Italy developed a more comprehensive policy concerning the Mediterranean Sea as a more solid base for a broader security concept within the general NATO’s strategy in the region. As a result, for instance, a new Italian-Spanish military co-operation in the Mediterranean Sea was in complete accommodation to this new Italian/NATO’s policy regarding the region which was focused on decreasing of the Soviet and Warsaw Pact’s influence in the region of East Mediterranean. The priority of the Italian Mediterranean policy all the time had West Mediterranean NATO’s member states: Spain, Portugal, and France. Italy and France had an agreement on air-naval co-operation and mutual defense. Between Italy and Spain, a similar treaty was concluded, but without provisions on air-defense co-operation. These relations between France, Italy, and Spain are carried out within a common NATO’s strategy and have a technological, naval, and intelligent character of the collaboration. The role of Italy in the creation of the regional Group 9 was one of the most significant. This organization was formed in October 1990, encompassing four West European countries (France, Italy, Portugal, and Spain), and five countries of the Arab Maghreb Union (Algeria, Libya, Morocco, Mauritania, and Tunisia) followed by Malta which was accepted as an associated member state. An Italian policy toward the Middle East, the Mediterranean Sea, and the Maghreb is framed according to the Italian division of the regional countries in regard to their geopolitical and economic importance for Italy and NATO into three groups: 1) “Key Actors” – Morocco, Algeria, Egypt, Israel, and Jordan as the countries which are playing a crucial role in their respective sub-regions; 2) “Old Friends” – Tunisia and Egypt; and 3) “Problem Countries” – Libya, Lebanon, Syria, and Iran. With Tunisia and Egypt Italy traditionally has significant economic and political relations. Italy and Tunisia are linked through territorial closeness while Egypt was the first among non-EU Mediterranean countries to sign a bilateral agreement with Italy on anti-terrorist activities in 1986 after the case of an attack on Italian ship “Achille Lauro”. 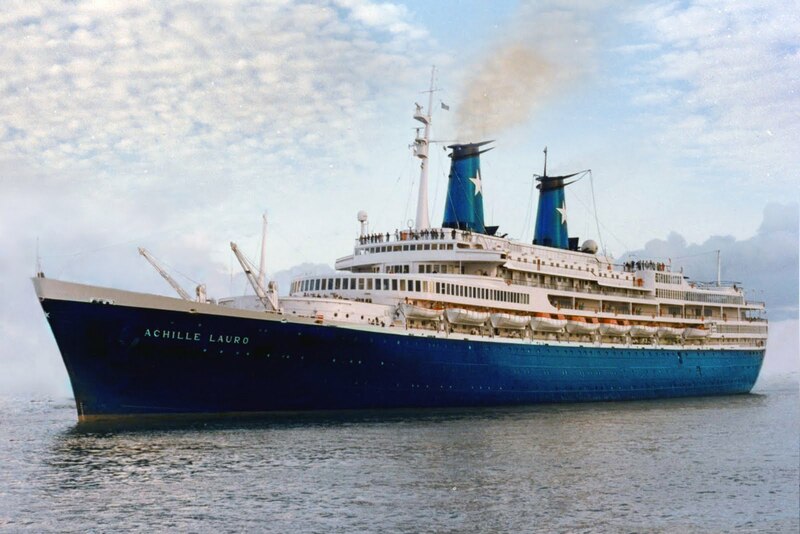 The Achille Lauro affair was, in fact, an incident at Sigonella (Sicily) in October 1985 when four Palestinian freedom fighters hijacked the liner “Achille Lauro” and killed a Jewish American passenger. After long negotiations, the Governments of Italy and Egypt agreed to give guarantees them and their leader, Abu Abbas safe passage to Belgrade (Yugoslavia) in return for the lives of the other passengers and of the crew. However, US’ authorities violently disagreed with the compromise and the American fighter jets forced the airplane with the Palestinians to Belgrade to make an emergency landing at NATO’s military base of Sigonella where US’ soldiers demanded that the Palestinians be handed over to them but on opposite side the Italian marines took up positions around the airplane for the sake to prevent any such action. A reaction by Italy’s Government in such difficult and tense situation was quite clear: that was primarily a question of the Italian national sovereignty. Finally, the US’ administration backed down. This incident was, in fact, the confrontation of the Italian and the American marines on the landing strip of the Sicilian base but the case clearly represents the first awakening of an independent Italian foreign policy in the basin of the Mediterranean Sea and, as a consequence, next year the Italian Government refused to let the USA use the Italian bases during the bombing of Libya’s capital Tripoli. In the 1980s and the 1990s, Italy had only with Malta and Morocco formal agreements on their bilateral military co-operation. It is important to stress that at the same period of time Italy exported military equipment to Libya and Iraq. The latter used them for the war on Iran in the 1980s. The new Italian defense model in the 1980s involved Italy in multinational peace forces in Lebanon. Probably, the most important document with regard to the new Italian defense policy was the White Book, issued by the Italian Defense Ministry in 1985. Importance of this book is a fact that it was for the first time that Italy openly spelled out that Rome had other national security interests alongside those within the NATO. Those other national interests were and are: 1) Defense of the southern parts of the national territory; 2) Free trade of strategic products; and 3) Protection of the Italian citizens abroad. This new Italian Mediterranean policy was, in fact, pointed toward re-emergency of Italy as the strongest Mediterranean naval power. It was the focal reason for Italy to officially support US’ policy to refuse both any talk about a naval disarmament and any connection between a naval disarmament with other aspects of disarmament. Nevertheless, it is important to notice that an Italian navy took a great advantage during the First Gulf War against Iraq because around 95% of NATO’s war equipment and material were shipped by sea using the Italian shipping capacities to a great extent. The Balkans remained one of the crucial areas of the Italian policy in the basin of the Mediterranean Sea particularly regarding the case of ending of the former Yugoslavia in which destruction Italy participated in full from a diplomatic point of view. After the dissolving of the USSR and the beginning of the destruction of former Yugoslavia in 1991, the “Italian attention and apprehension was concentrated on the Adriatic coastline”. In fact, it can be said that Italy played the most decisive role in the process of breaking up of Yugoslavia in 1991 after the roles of Germany and Vatican especially what concerns both the proclamation and recognition of Slovenia’s and Croatia’s independence, i.e., illegitimate secession from the rest of the country. Italy was one of the supporting countries to the common foreign and security policy of the Twelve (the EU12) after the signing of the Maastricht Treaty in February 1991 (to be enforced in November 1993). In January 1992 Italy recognized Slovenia and Croatia as independent states following the German diplomatic pressure, however, with an important note that they are “the countries which under Yugoslavia expended their territories at the expense of Italy”. It is a very fact that the Italian diplomacy had a crucial role in a decisive moment (December 16th, 1991) when a decision on the political recognition of a unilateral proclamation of a state’s independence by Slovenia and Croatia reached during the EC (later the EU) summit in Brussels. This fact confirmed an important role of Italian diplomacy in the creation of a common EU’s foreign policy. Moreover, an official Italian viewpoint about the Yugoslav civil war in the 1990s was that the military conflict in Croatia (1991‒1995) has been, in essence, “Serbia’s aggression”, and that (the Roman Catholic) Italy would protect and support (the Roman Catholic) Slovenia and Croatia in regard to their acceptance in the UN and the Council of Europe. An additional area of activity for the Italian diplomacy after the destruction of the former Yugoslavia is Montenegro. In this case, a crucial Italian diplomatic task was to participate in the Western policy of separation of Montenegro from the Federal Republic of Yugoslavia. It has to be strongly taken into account a fact that it was exactly Italy to put enlarged Montenegro under its own protectorate in 1941‒1943. Furthermore, it is well known that Italy has traditionally “protective” policy toward Albania which became obviously visible with the Italian proposal from 1998 that an international (including and the Italian) troops had to be sent on the Yugoslav-Albanian border in order to “protect” Albania from alleged Yugoslav military intervention as well as to intervene in the case of a further spreading of the conflict in Serbia’s southern province of Kosovo-Metochia. The Italian foreign policy in the Balkan peninsula can be faced in the near future with a problem regarding a re-arrangement of state’s borders with Slovenia and Croatia taking into account a possible Italian irredentist policy on the eastern seashores of the Adriatic Sea. 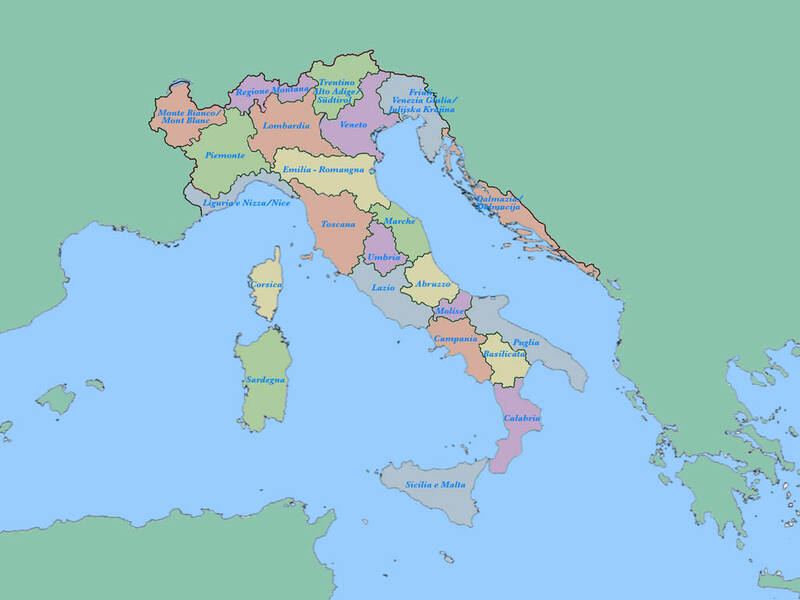 In order words, several Italian political parties, like the Italian Liberal Party, the Socialist Party or the right-wing Forza Italia, several times demanded the cancellation of the 1975 Osimo Agreements and the correction of the eastern borders of Italy. A legal basis of this political demand is founded on the act that these Osimo Agreements have been signed with Italy in 1975 by the former Yugoslavia (the SFRY) but not by independent states Slovenia and Croatia. In this case, a legal subject is only the former Yugoslavia which does not exist after 1991 and, therefore, the border arrangement from 1975 is legally over after 1991. “Live Italian Trieste, Italian Istria, Italian Dalmatia. The lives of the displaced and the living values of our homeland live”, said European Parliament President Antonio Tajani in Basoviz, at a memorial ceremony marking the Day of Remembrance on February 11th, 2019. The words said above are nothing else but a pure requirement for the Italian revisionist policy (irredenta) in the Balkans. The time for it is obviously well scheduled: A centennial anniversary of a secret treaty between three Entente members of the UK, France, and the Russian Empire on one hand, and Italy on another, in London on April 26th, 1915 nine months after the breakup of the Great War of 1914−1918. In other words, during the last century, all Italian claims on East Adriatic seacoast at the Balkans are founded on the 1915 secret treaty between the Entente and Italy in London. We have to remind ourselves that in a political-military effort to involve Italy into the war on their own side against the Central Powers members of Germany and Austria-Hungary within a month, these three Entente bloc members confirmed the Italian possession of the ex-Ottoman province of Libya (acquired by Italy in 1912) and the Dodecanese islands in the Mediterranean Sea, and also promised the Italian occupation and annexation of Italia irredenta territories: South Tirol, Trentino, the Istrian Peninsula, Gorizia, Postojna, Gradisca, North Dalmatia with the cities of Zadar and Šibenik, most of the Adriatic islands and the city of Trieste with its hinterland. Italy would also gain certain Ottoman territories in Asia Minor and Albania’s city of Valona and Saseno island in the case of victory of the Entente Powers. It is obvious that the treaty was at a full extent against the post-war territorial interests of the Central Powers, i.e., of Austria-Hungary. All East Adriatic lands afforded to Italy according to the 1915 London Treaty, except the Trieste area, became included into the post-WWII Croatia (except small Istrian littoral given to Slovenia) within a Socialist Yugoslavia with massive ethnic cleansing of the Italian-speaking population in 1945. Therefore, as a final result of WWII, Croatia became only Nazi Germany’s ally that ended the war with an enlarged state’s territory. Present-day Croatia, alongside with Albania and Kosovo, are the only almost totally ethnically cleansed and homogenous states in South East Europe. Finally, it is only up to Italy to decide when to start the process of reaffirmation of the 1915 London Treaty’s articles regarding its own historical and ethnic possessions at East Adriatic littoral. The speech by European Parliament President Antonio Tajani on February 11th, 2019 can mark the beginning of this procedure which at its turn can significantly weaken the cohesion within both the NATO and the EU. S. Romano, Italy’s New Course in the Mediterranean, Australian Outlook, Canbera, No. 2, 1987. P. Ginsborg, Italy and Its Discontents: Family, Civil Society, State 1980−2001, London: Allen Lane The Penguin Press, 2001, 153. About this incident, see more in [A. Cassese, Il caso “Achille Lauro”, Roma, 1987]. P. Ginsborg, Italy and Its Discontents: Family, Civil Society, State 1980−2001, London: Allen Lane The Penguin Press, 2001, 236. J. Zametica, Italijansko iskustvo sa Balkana, Politika, Belgrade, 1992-11-13. The borders between the Kingdom of Italy and the Kingdom of Serbs, Croats and Slovenes were fixed according to the Rapallo Treaty of November 12th, 1924 [S. Trifunovska (ed. ), Yugoslavia Through Documents From Its Creation to Its Dissolution, Dordrecht−Boston−London: Martinus Nijhoff Publishers, 1994, 184−189]. On the WWI, see in [S. F. Meaker, World War One: A Concise History. The Great War, Kindle edition, 2013; C. Falls, The First World War, Barnsley, South Yorkshire: Pen & Sword Military, 2014; J. S. Levy, J. A. Vasquez (eds. ), The Outbreak of the First World War: Structure, Politics, and Decision-Making, New York: Cambridge University Press, 2014]. М. Радојевић, Љ. Димић, Србија у Великом рату 1914−1918, Београд: СКЗ−Београдски форум за свет равноправних, 2014, 167.